The marriage will, as per reports, take place on February 11. 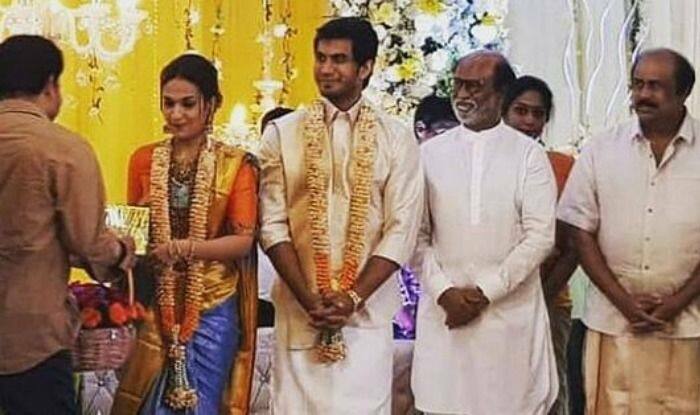 Superstar Rajinikanth’s daughter Soundarya Rajinikanth is all set to tie the knot with actor and businessman Vishagan Vanangamudi, and ahead of the big day, her father hosted a pre-wedding reception for her at Raghavendra Mandapam in Kodambakkam, Chennai. Attended by the families and friends of both the bride and groom to be, the rituals had started off with a sumangali pooja. 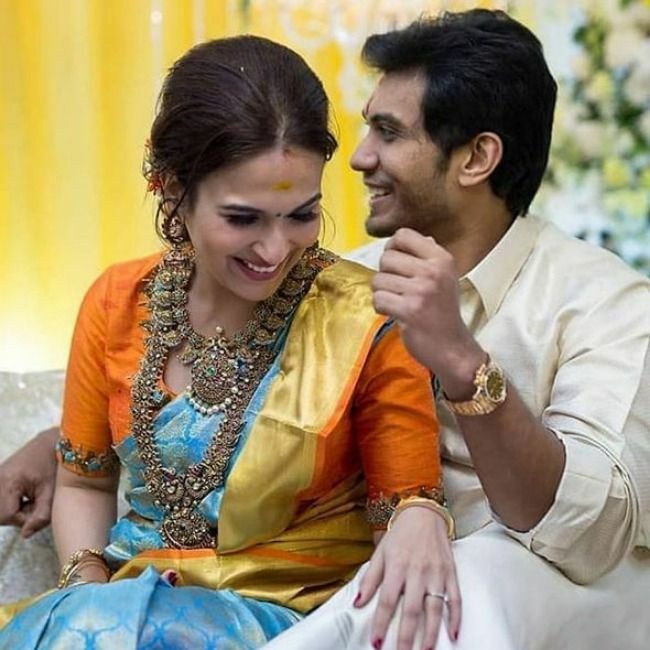 From pictures that have been shared online, Soundarya and Vishagan both looked glamorous in their traditional wear. Soundarya had on a beautiful gold and blue silk saree, while Vishagan wore a cream coloured shirt and a traditional South Indian dhoti. The two glowed as they greeted guests along with their families. The celebrations continued with the couple posing for a selfie with their family members, all sporting happy smiles. Soundarya, who is the younger daughter of Rajinikanth, is a graphic designer, producer and director who primarily works in the Tamil film industry. She began her career in films as a graphic designer. She began work as a producer for 2010 movie Goa, and then made her debut as a director with the film Kochadaiyaan.